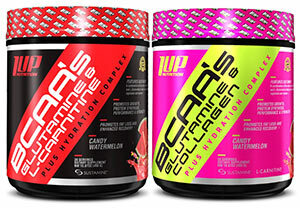 1 UP Nutrition is dedicated to the pursuit of optimum performance and nutrition by providing an elite and versatile range of all natural supplements to both professional athletes and the general public alike. We strive to support our customers’ fitness and competitive goals with high quality products that combine the purest ingredients with cutting-edge research and a lifetime of experience pursing peak physical and mental performance. With our core values of integrity, communication and perseverance, we are determined to empower our customers by taking the time to provide specifically tailored specialist advice and feedback to help them build the perfect supplement stack for their individual health goals. Self-optimization is more than a hobby; it's a way of life. For more information, visit 1upnutrition.com. Sustamine® L-Alanyl-L-Glutamine, manufactured by Kyowa Hakko Bio Co., Ltd., is a clinically studied and patented form of L-Alanyl-L-Glutamine. Sustamine is a stable dipeptide of L-Alanine and L-Glutamine and is more easily absorbed by the body than complex protein molecules. This makes Sustamine a highly effective ingredient for hydration, endurance and recovery. * Sustamine is manufactured through a patented fermentation process to yield high quality and high purity. Vegetarian, allergen-free and the only GRAS L-Alanyl-L-Glutamine, Sustamine is also tasteless, odorless, and stable in liquids. For more information on Sustamine, visit sustamine.com.